Life is an unfoldment, and the further we travel the more truth we can comprehend. To understand the things that are at our door is the best groundwork for understanding those that lie beyond. We are capable of more than we know. If we are sensible, we choose a goal that seems right for us and strive to be the best, however hard the path. We aim high, behave honorable, prepare to be alone at times, and withstand failure. We must persist and endure, the world needs all we can give. The best preparation for tomorrow is to do our best today. I have learned the hard way that success is the result of preparation, hard work, and learning from failure with humility; that success depends upon previous preparation, without such preparation there is sure to be failure; that success is where preparation and opportunity meet. I have also learned that one important key to success is self-confidence and an important key to self-confidence is preparation. We have to really be passionate, try to prepare as much as we could, and put ourselves in a position to succeed; and when the moment comes we got to enjoy, relax, breathe and rely on our preparation with confidence, so that we can carry out effectively and not be anxious or filled with doubts. There is no short cut to achievement. Life requires thorough preparation. The future belongs to those who prepare for it today and education is the passport to the future. We were born to win, but to be a winner, we must plan to win, prepare to win, and expect to win. The will to succeed is important, but what is more important is the will to prepare. 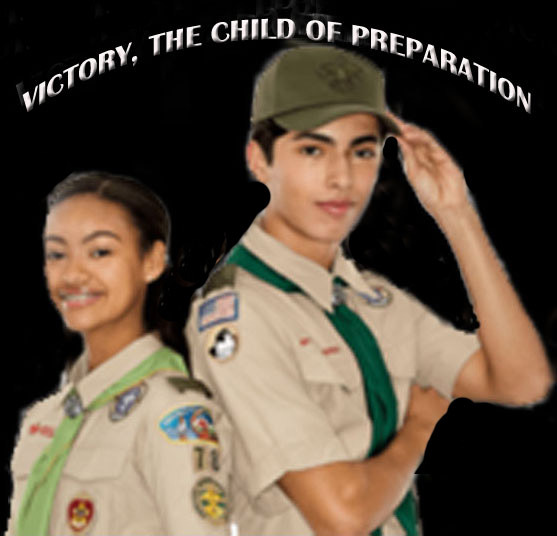 Be Prepared is the motto that a scout must prepare himself by previously thinking out and practicing how to act on any accident or emergency so that he is never taken by surprise. The precept, principle, guideline or teaching by which I have lived is to prepare for the worst; expect the best; take and capitalize on what comes and accept whatever God sends. Let us prepare and live our lives according to what we want not what others say or want otherwise we would end up with weak and parasitic life.